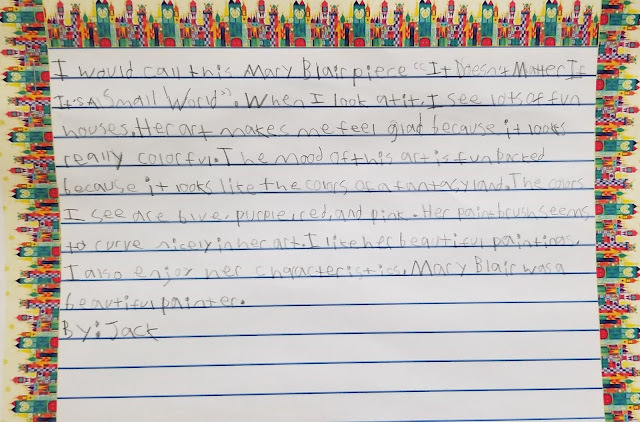 To launch Women's History Month, my third grade reading class has put together a Mary Blair exhibition right outside our classroom door. 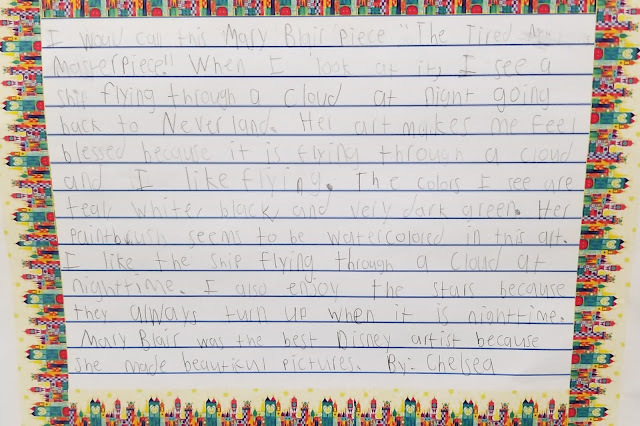 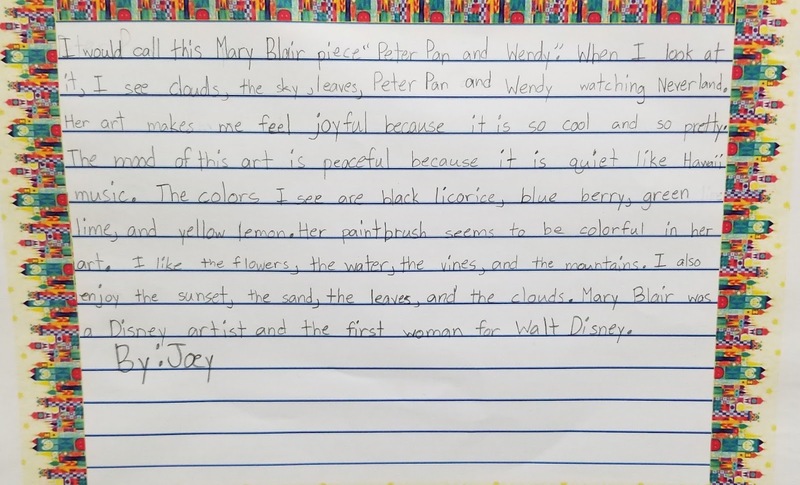 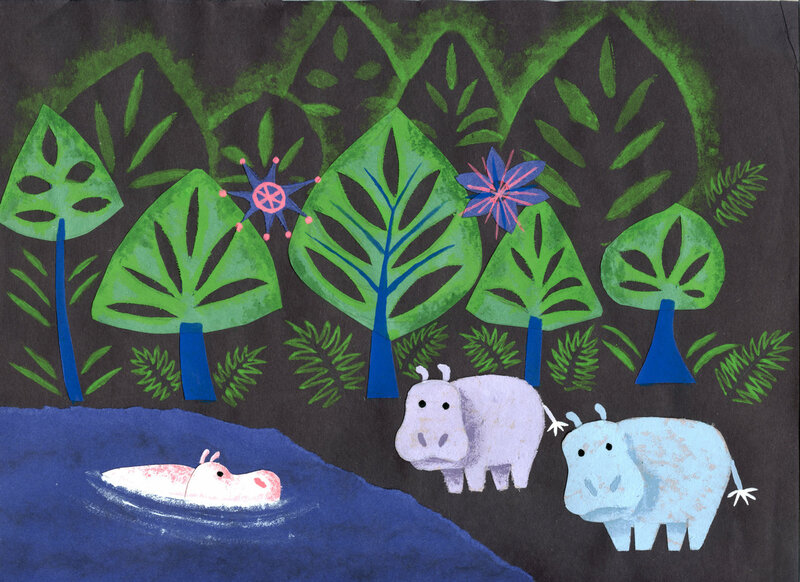 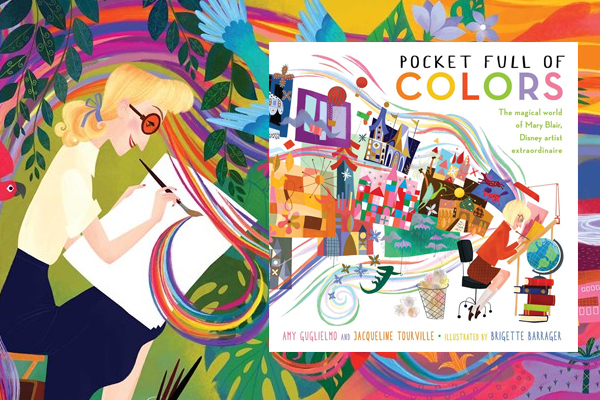 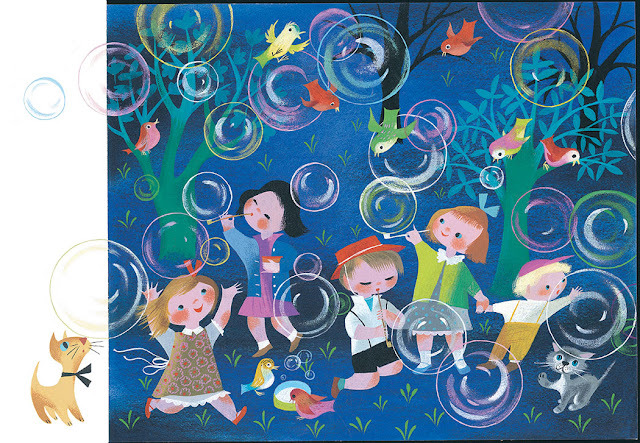 As a way of introducing my students to Blair and her singular style of art, I read to them Pocket Full of Colors: The Magical World of Mary Blair, Disney Artist Extraordinaire by Amy Guglielmo and Jacqueline Tourville with illustrations by Brigette Barrager. 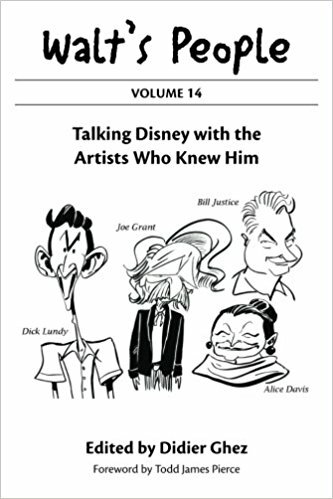 This delightful book's recounting of Blair's barrier-breaking role as a female artist at the Walt Disney Studio bursts rainbow bright with each turn of a page. 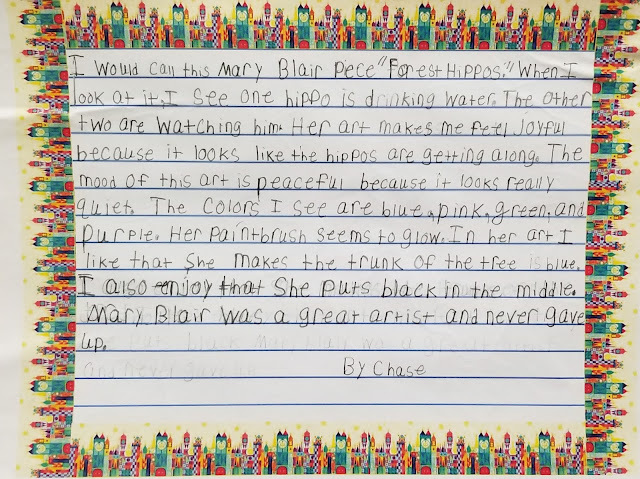 Through it, my students were offered a special glimpse into Blair's world of art while stepping into her shoes. 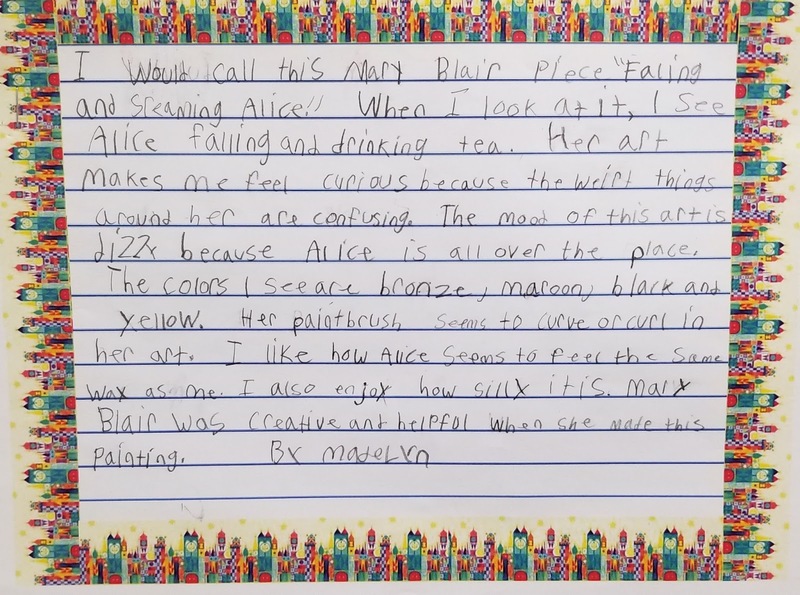 The wonderment of children knows no bounds, and within each of my students a secret world was revealed upon seeing Blair's conceptual art displayed in our hallway. 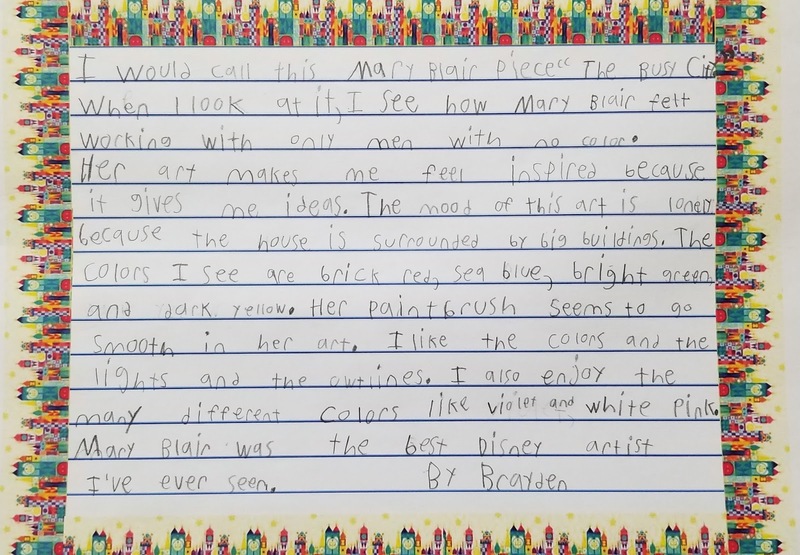 Each child was given the opportunity to select a conceptual piece for themselves. 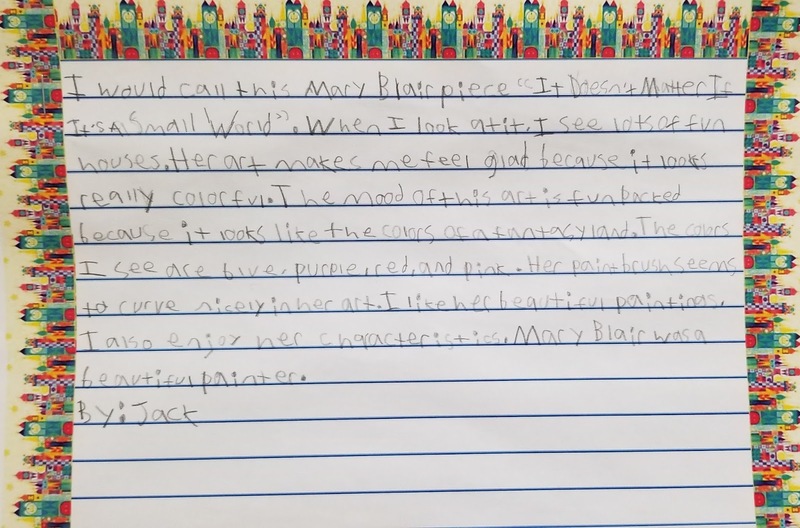 For both boys and girls alike, I challenged them to look beyond pieces that were considered "girly" or "boyish" and to choose something that called to them. 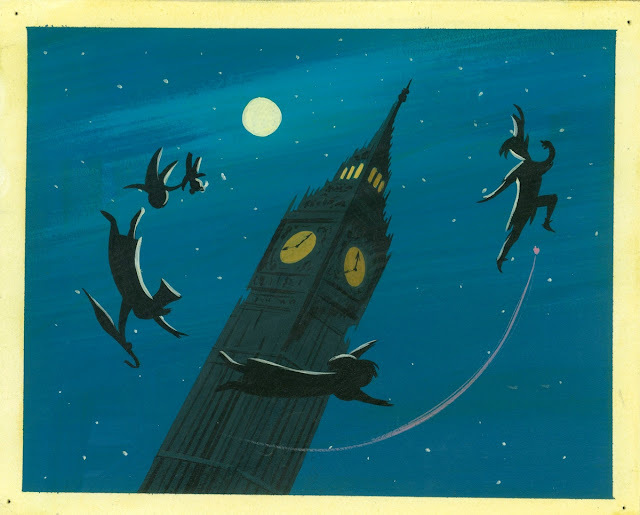 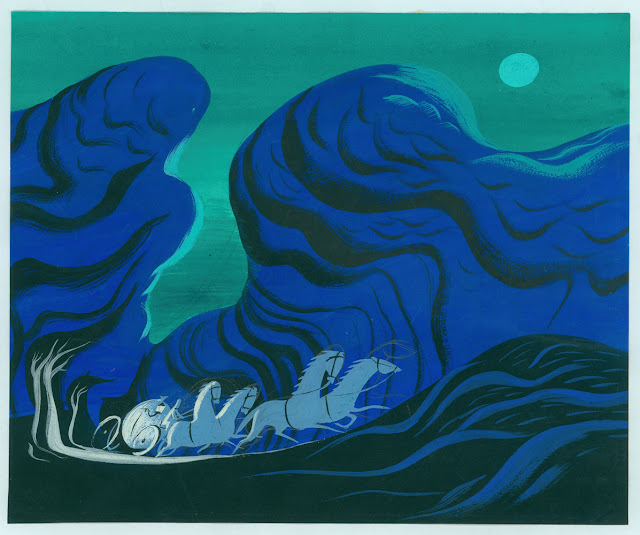 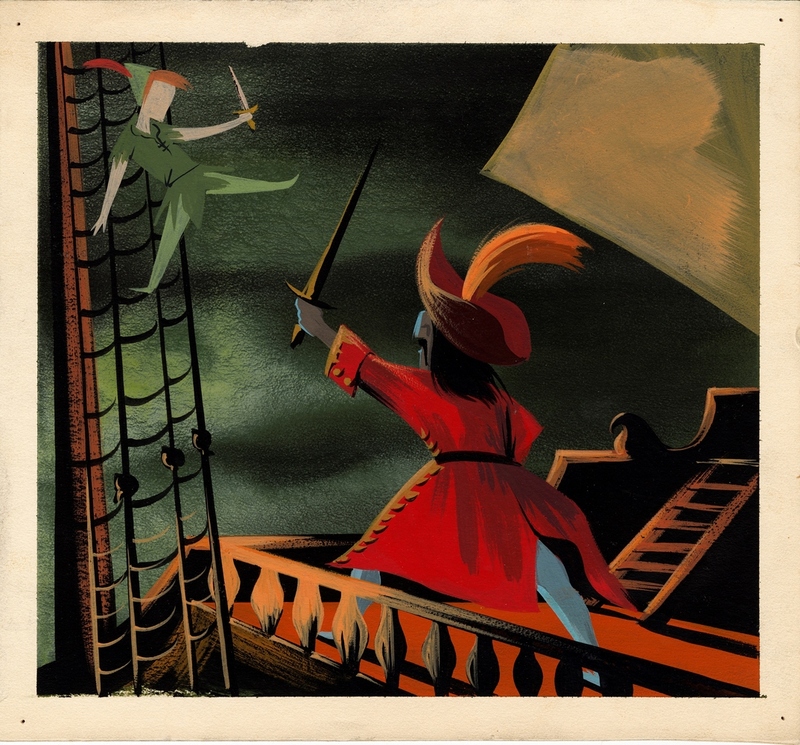 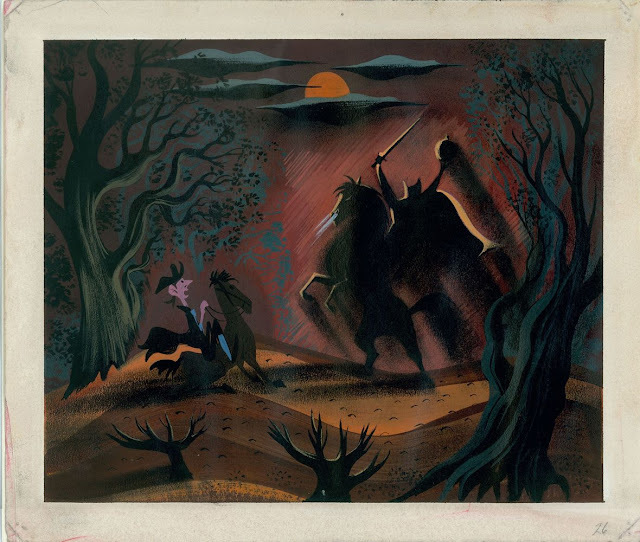 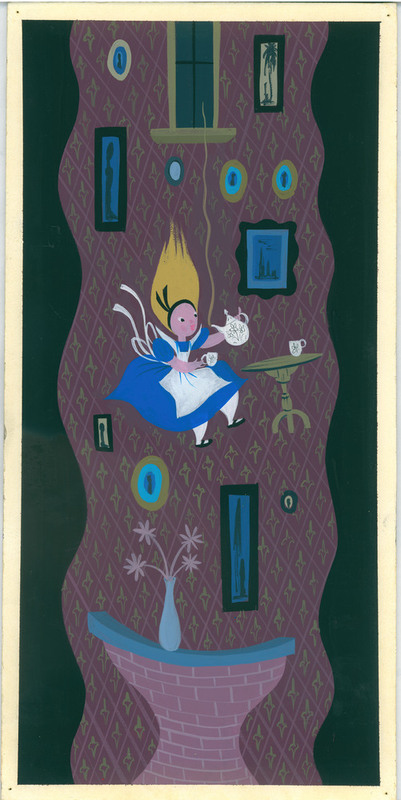 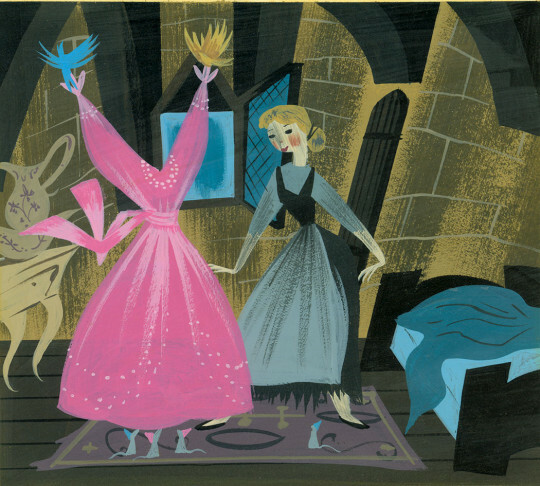 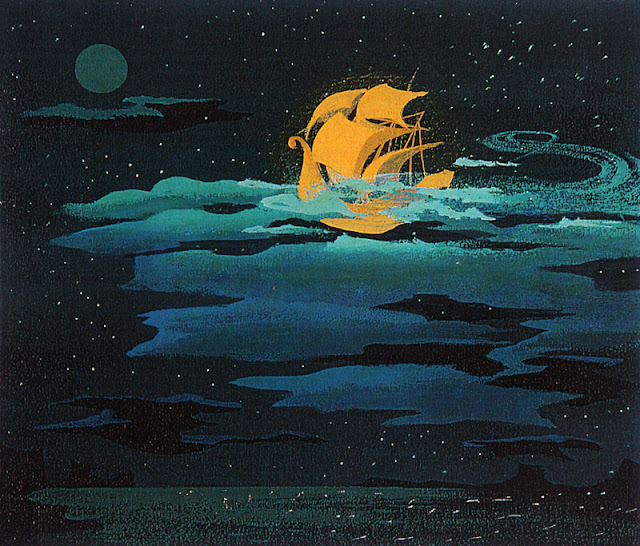 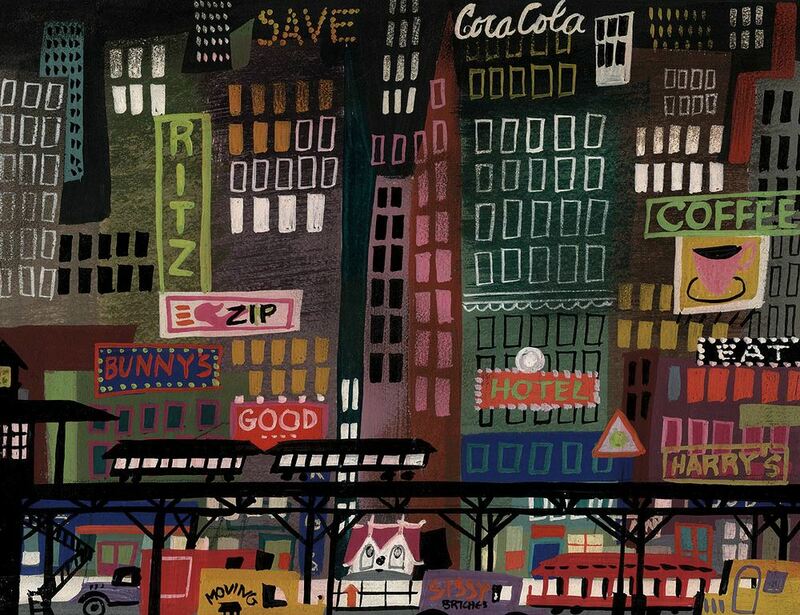 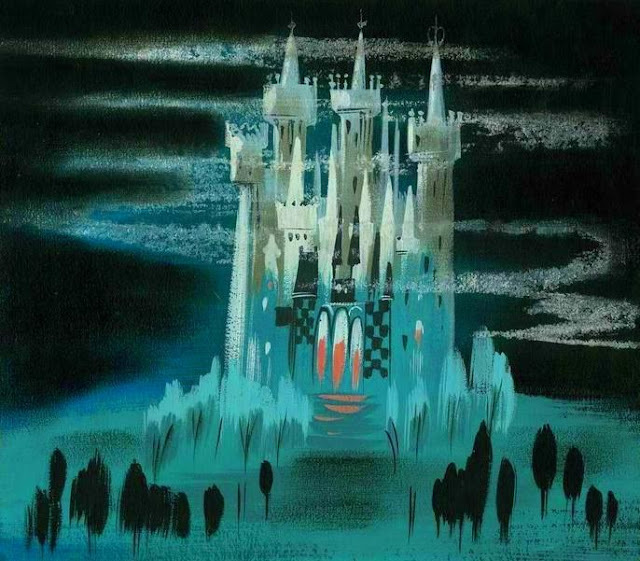 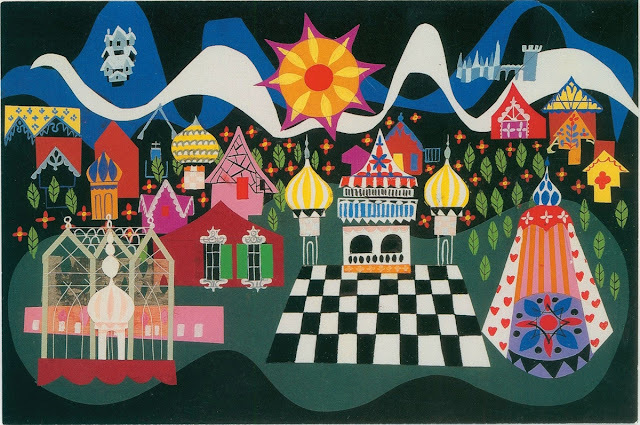 The art selections ranged from conceptual art that Blair did for The Adventures of Ichabod and Mr. Toad (1949), Cinderella (1950), Alice in Wonderland (1951), The Little House (1952), Peter Pan (1953), illustrations from children's books, and designs for it's a small world. 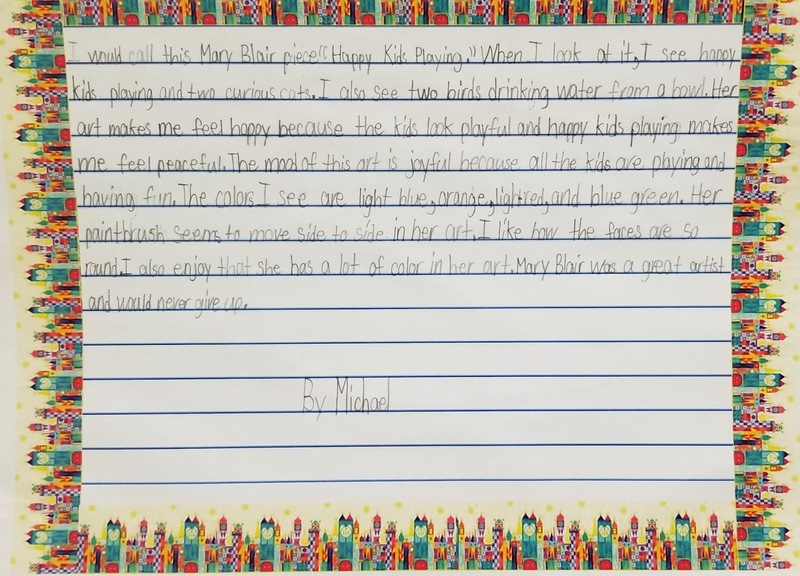 The students dived in eagerly; inspecting their respective piece through the wonderment of their eyes. 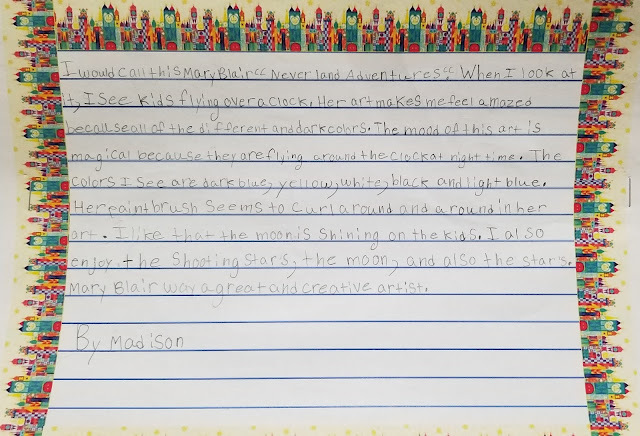 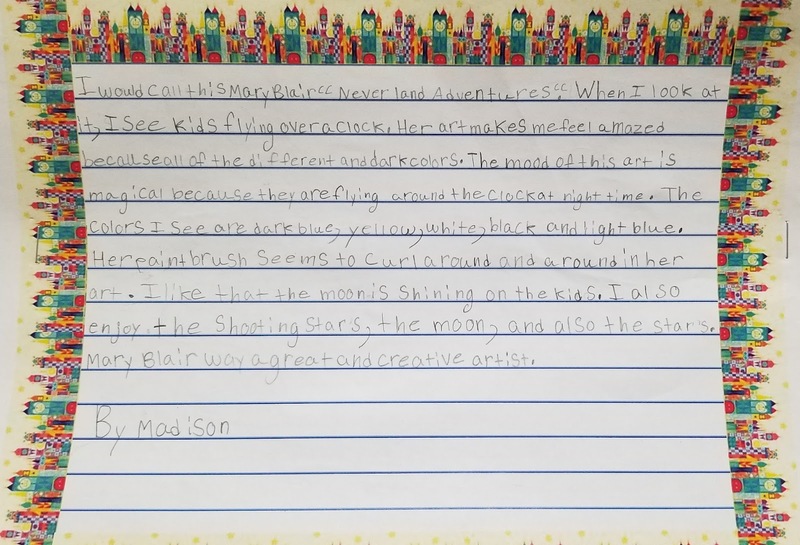 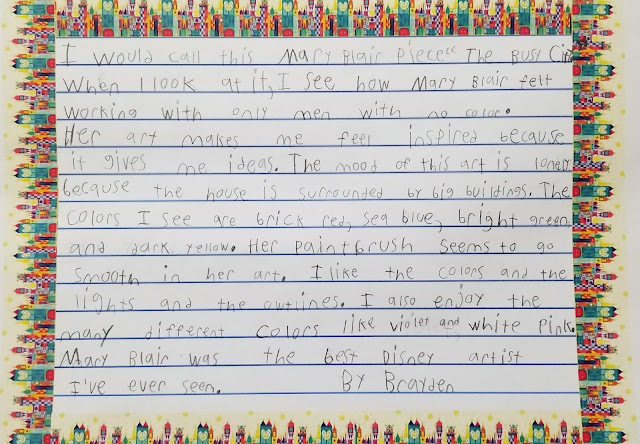 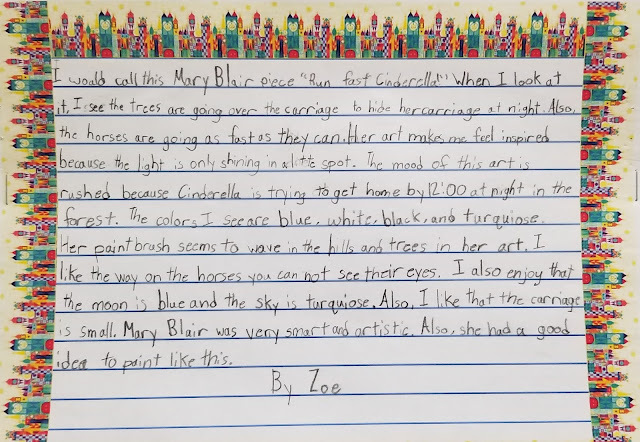 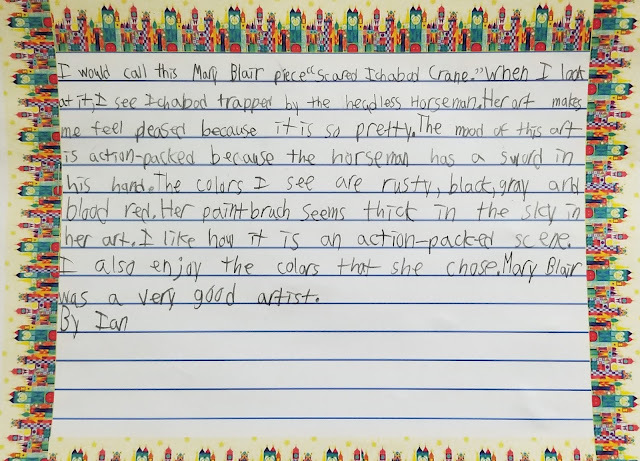 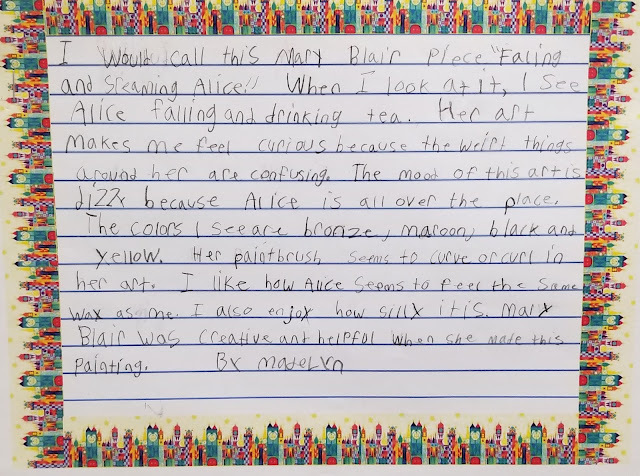 They were tasked with describing Blair's art from their perspective and to elaborate on feelings invoked by her original style and choice of color. 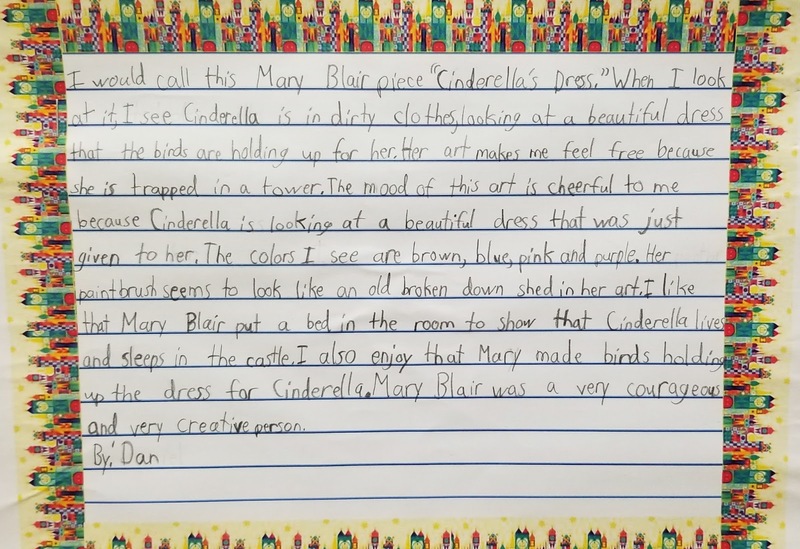 Their attempts, and finished writings (as you will see below) are not only commendable, but inspired. In a society where children bear the brunt of national standards that are developmentally inappropriate and data reigns supreme, this sojourn into Blair's world provided my students a meaningful escape. 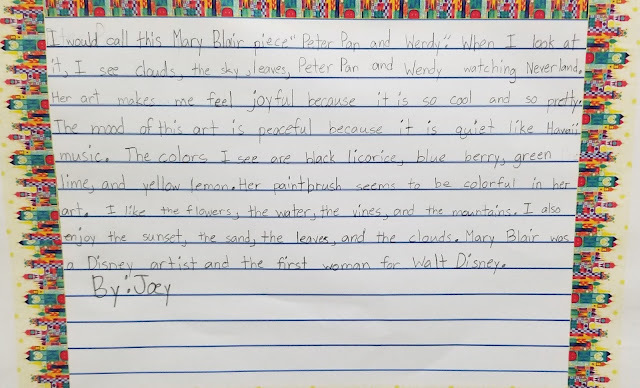 On behalf of myself, my assistant Jill, and all the boys and girls in my reading class, we hope you enjoy our labor of love. 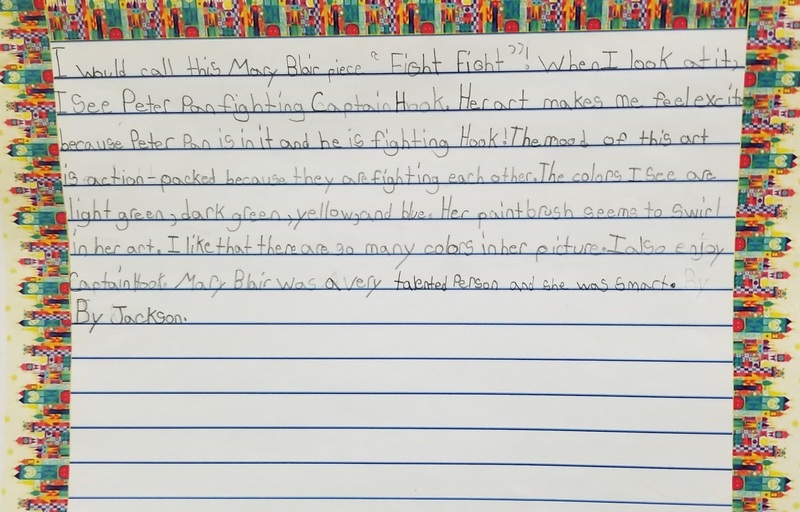 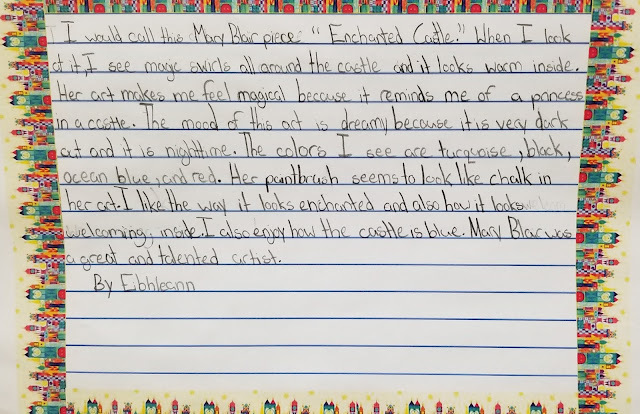 Each writing is preceded by the conceptual art that a specific child chose. 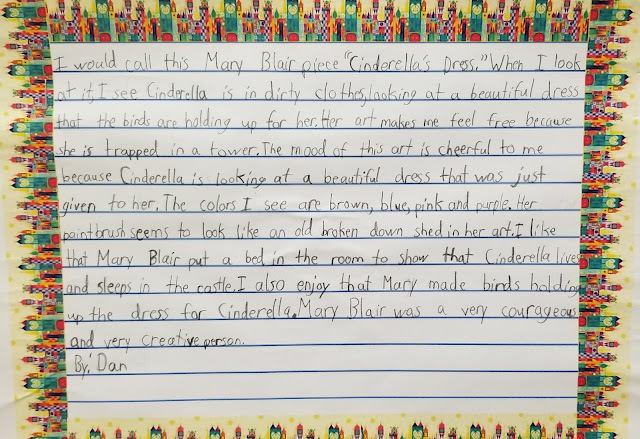 As you read each narrative, keep in mind that they were penned by eight and nine-year-old children. I hope you enjoy the journey as much as we did.